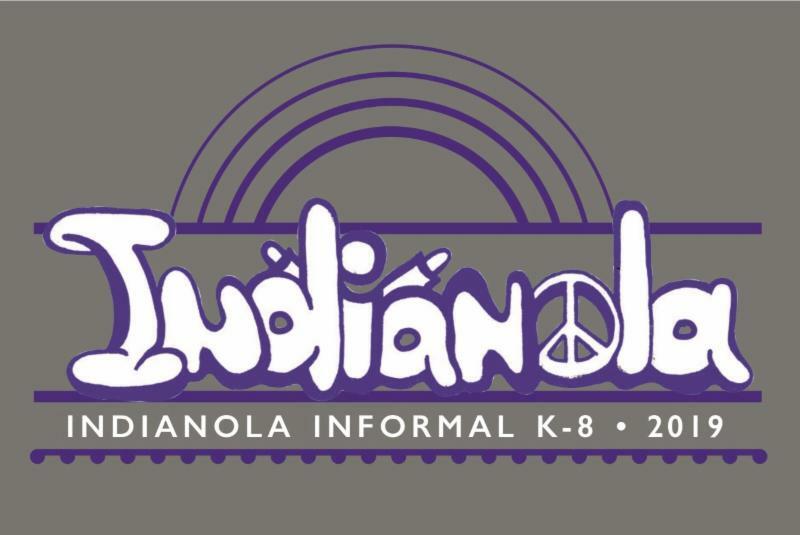 This is the last week to order your new Indianola t-shirts! 8th-grader Ethan Clawson designed the logo, and all proceeds go toward the class trip to Williamsburg, one of the final events our 8th-graders will do together, before they leave Indianola for the last time. All sizes are available, from Youth XS to Adult 5X. 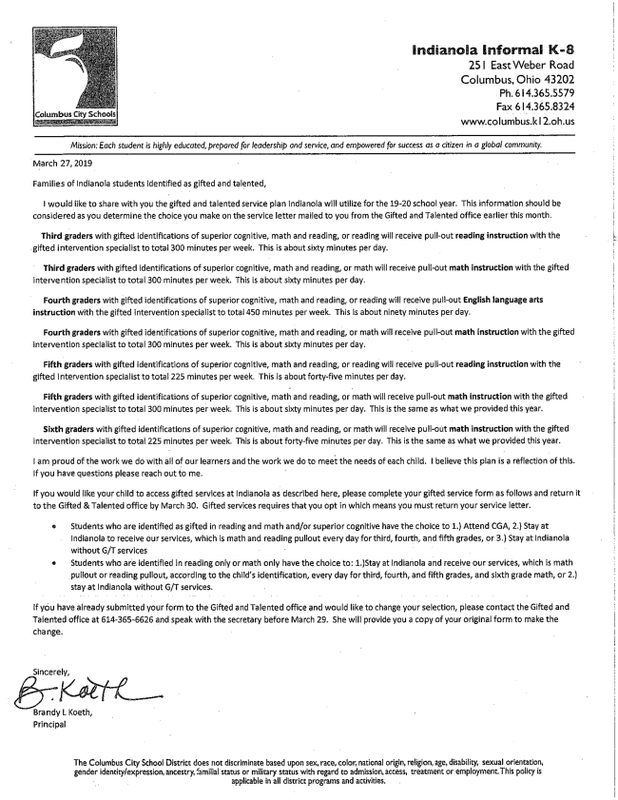 Students can give order forms and cash/checks to their teachers, or to Ms. Rachel, the middle school art teacher. All three of our students (Trevor Long, Cydney Turner, and Kiera Young) made it through to represent Indianola in the State Invention Convention at the Ohio State Fair on July 28th!!! Amaia Cornute is going to Michigan in May to the National Invention Convention since she advanced from last year!!! Congratulations to these students and a big thank you to Ms. ElizaBeth for her support and advising through the process! 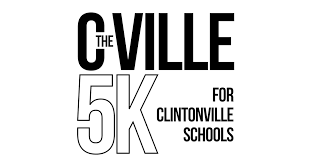 Highlights: Run/Walk the 5K or a 1 Mile Fun Run/Walk. 1 Miler starts at 8AM, the 5K starts at 8:30 AM. There's also an "I'm Playing Hookie" option where someone can simply go to the website and donate $10. Sign up to Volunteer - Only about 1 to 1.5 hours of Volunteering starting around 7:00 AM for some shifts...other shifts start closer to Race time. Love talking to people or organizing gift baskets? Join the Silent Auction Committee to help us request donations and organize the items for the live silent auction! Got a knack for rallying and organizing volunteers? 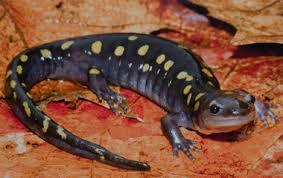 Get involved with the Volunteer Committee! Do you love games? Get involved with the Games Committee! Enjoy organizing activities? Get involved with the Activity Booths Committee! Enjoy styling hair? We need someone to help lead the Crazy Hair booth - get involved with the Activity Booths Committee! Got a mind for figuring things out? Join the awesome Logistics Committee! Other committees to engage with: * Food/Concessions * Entertainment/Rentables * Books/Prizes * Ticket Sales You can even help by spreading the word about the Carnival! 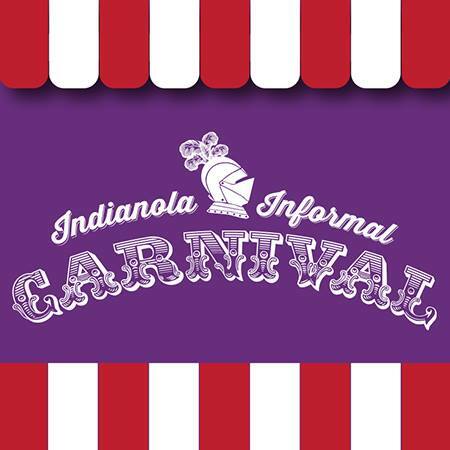 Follow us at www.facebook.com/IndianolaInformalCarnival and invite your friends and family to like the page, too - this is a FREE community event! Questions? 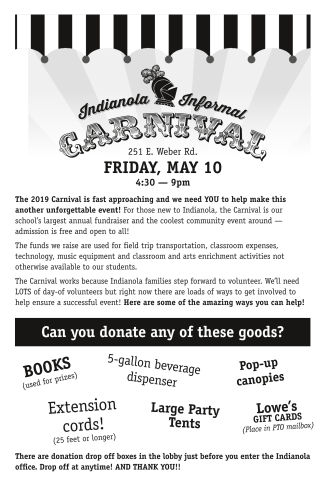 Simply email the committee at IndianolaCarnival@gmail.com We're so excited and thankful for any help you can offer - We couldn't do this without you! Join us for the next Carnival planning meeting! WEDNESDAY, APRIL 10 at 6:30 p.m. in the Indianola Informal library. 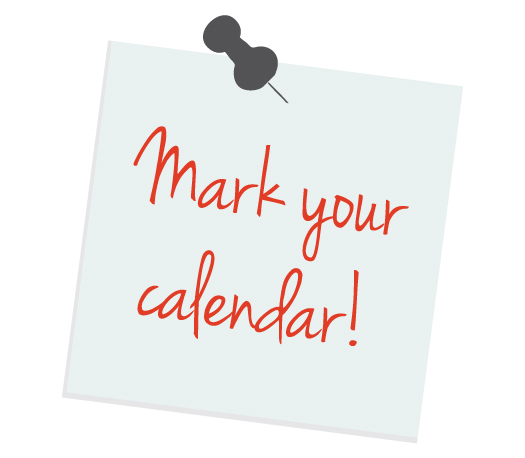 Spruce Run has monthly family events planned for the rest of the school year. Engage in meaningful outdoor learning and play with your child. Volunteer opportunities are also available. Columbus Metropolitan Library card holders can now check out free temporary memberships to the Franklin Park Conservatory and Botanical Gardens. Launched in early July, the new initiative is a pilot program the conservatory is testing at two library branches: Martin Luther King at 1600 E. Long St., and Shepard at 850 N. Nelson Road. The pass allows admission for two adults and up to six children and expires after two days. Photo identification and a library card must be shown at the library desk for in-person checkout. 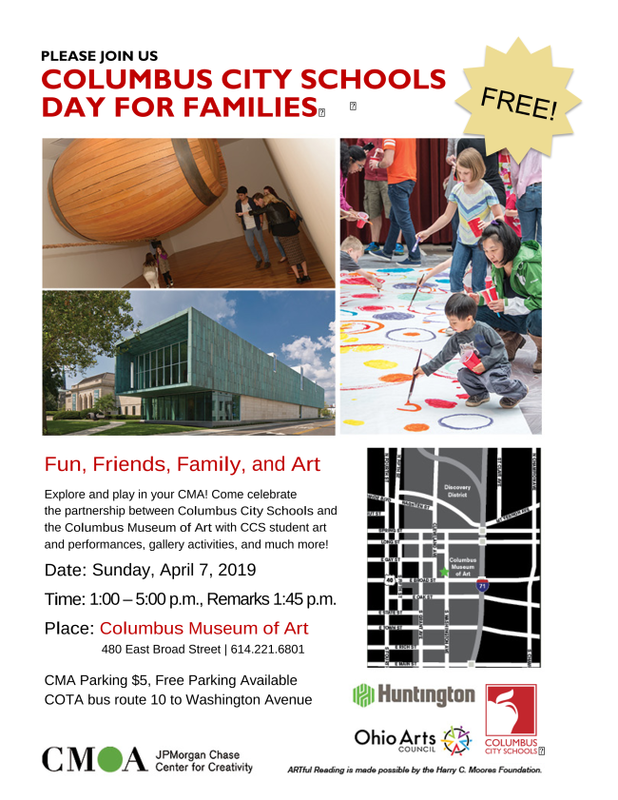 **Community Days at the Conservatory, on the first Sunday of each month, the Conservatory will be free for residents of Franklin County and the City of Columbus during regular operating hours of 10am to 5pm. Help your student be a better reader. All locations have a Reading Buddies program.